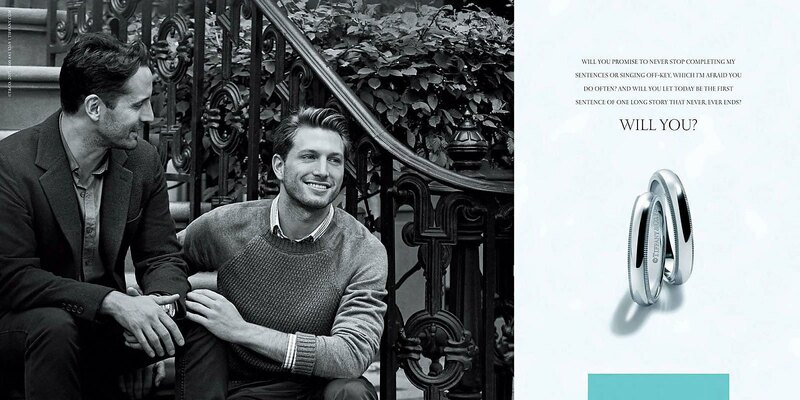 Tiffany & Co.'s latest ad features real-life couple. 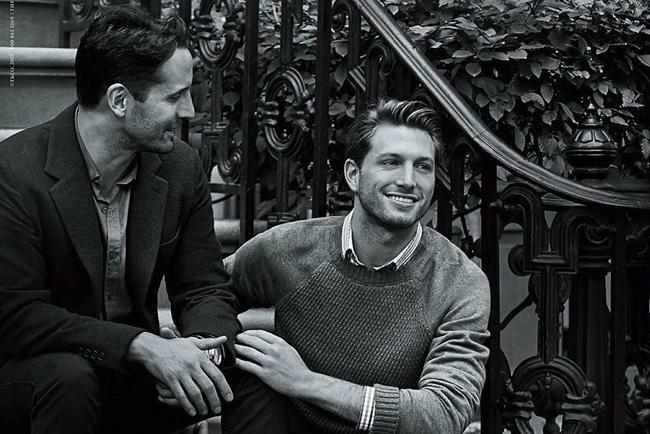 Tiffany & Co is embracing gay couples in its advertising for the first time. 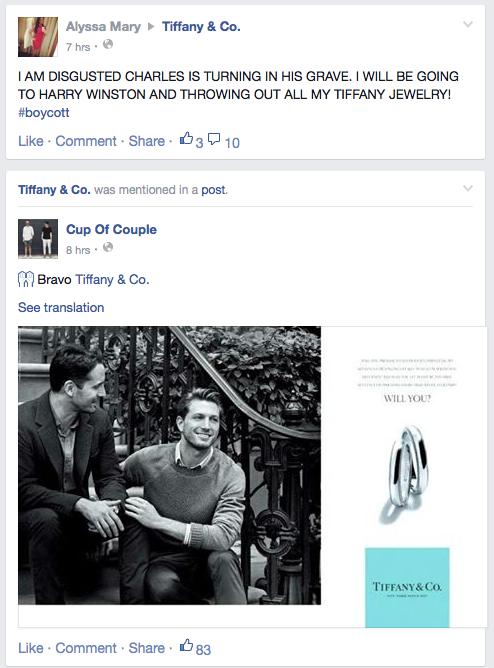 The two men are a couple in real life, a Tiffany & Co spokeswoman told CNN. The spokeswoman added: "Nowadays, the road to marriage is no longer linear. True love can happen more than once with love stories coming in a variety of forms." The pictures used in the ads were shot by fashion photographer Peter Lindbergh. It is not clear whether Tiffany & Co’s global ad agency Ogilvy & Mather was involved. The jeweler appointed Ogilvy & Mather in March last year and consolidated its global media buying with MEC seven months later. The other six ads feature models as straight couples. One couple is pictured on their wedding day with a child.